With the rapidly changing of state laws nationwide regarding access to cannabis (marijuana), there is renewed interest in research and use of cannabis for non-recreational health benefits. Prior to 1937 and the Marijuana Tax Act, which began the process of making cannabis illegal in the United States, cannabis was part of the American Medical Association’s prescribed pharmacopoeia for a variety of ailments, and doctors routinely wrote prescriptions for it. Today, researchers are looking at various varieties of cannabis to combat many illnesses where pharmaceutical products have largely failed, from cancer to Alzheimer's disease to epilepsy and many others. Because of out-dated federal laws still in place against cannabis, much of this research in the past has been hard to find, and non-mainstream. So even today, if one were to search for information on different varieties or how to treat illness with cannabis, that information is sorely lacking. Much of the online information is targeting the recreational use of marijuana. 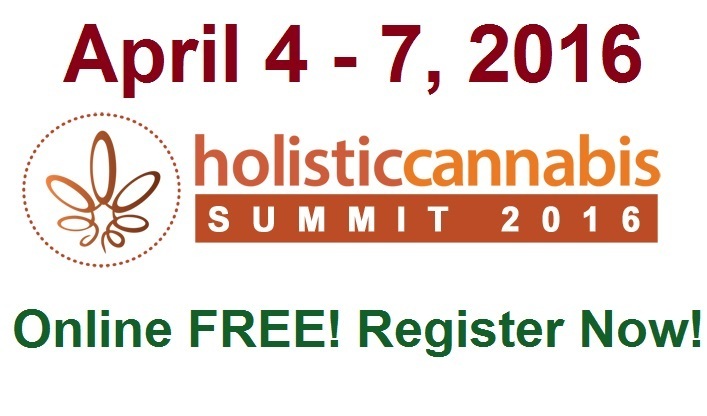 To address this need, the first ever HolisticCannabis Summit was organized by the HolisticCannabis Network for April 4-7, 2016. It features an all-star lineup of speakers that include medical doctors and other holistic health professionals knowledgeable in the area of cannabis or "medical marijuana."